Creamy, low-fat Greek yogurt topped with strawberries and blueberries. 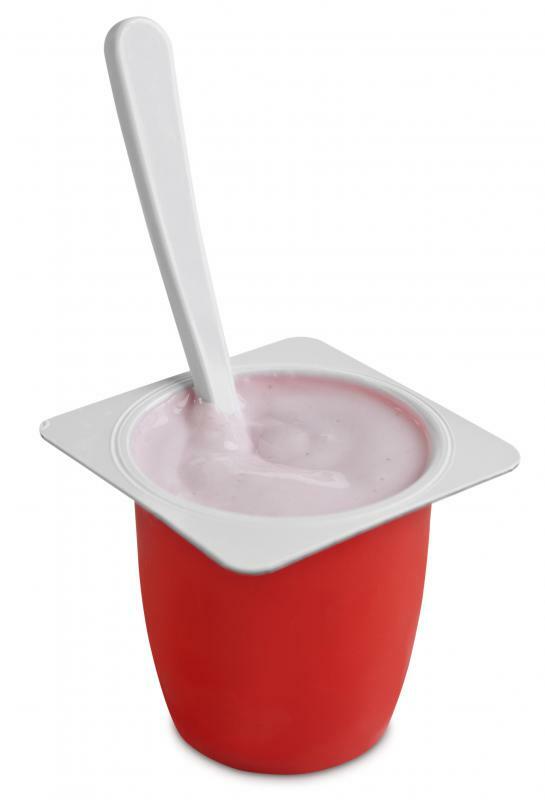 Single-serving containers is a popular way to enjoy low-fat yogurt. Low-fat yogurt is a processed dairy product with numerous health benefits. Made from milk with a reduced fat level, this type of yogurt can provide a good balance of flavor and nutrition, and may be preferable to whole milk or nonfat yogurt. Popular among those counting calories, low-fat yogurt can make an excellent snack, as well as being a great substitute for similar ingredients with a higher fat content. 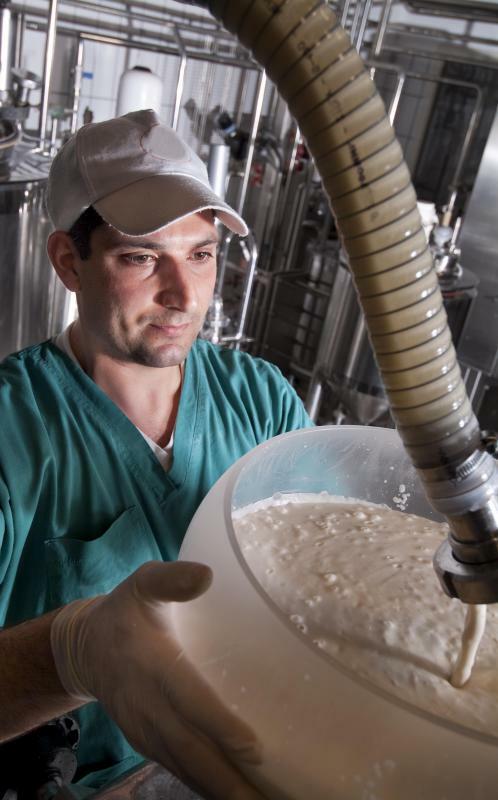 Yogurt is made by introducing certain bacteria to warmed milk and allowing the product to thicken and ferment. In the case of low-fat yogurt, the milk used will usually have a milkfat content of about two percent. Whole milk yogurt may have a slightly more fat, often around three to four percent, while nonfat yogurt uses skim milk and features no measurable fat content. Once the yogurt is cultured, flavoring agents, fruit, and other ingredients may be added to create a wide variety of flavors, though plain, unflavored yogurt is also popular. Low-fat yogurt is often touted by health experts as a nutritious and highly beneficial snack. Most yogurt carries a high dose of calcium, as well as some protein. Yogurts that contain active, live bacteria also serve as probiotics, providing healthy bacteria to the stomach and intestinal tract. Many people with digestive maladies, such as irritable bowel syndrome, use probiotic yogurt to help ease digestion and reduce symptoms. One popular way to enjoy low-fat yogurt is in single-serving containers. These are often available in dozens of flavors, including vanilla, strawberry, banana, and even chocolate. Those eating yogurt as part of a healthy diet may want to check ingredient labels carefully on flavored yogurts, as the sugar content tends to dramatically rise when flavoring agents are added. For a more controlled sugar content, consider using plain yogurt and adding fresh fruit, nuts, cereals, and sweeteners such as honey or pure maple syrup instead. 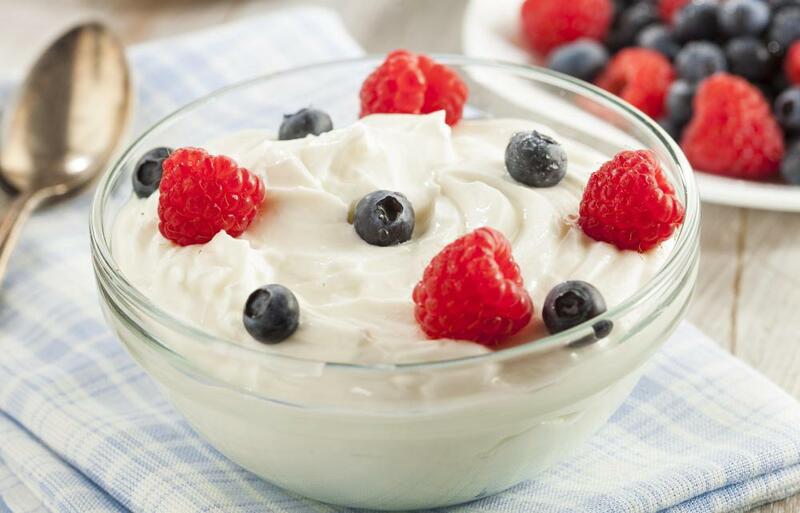 Plain or vanilla flavored yogurt can make an excellent substitute for high-fat ingredients in many different recipes. Smoothies and milkshakes, for instance, can be made with greatly reduced fat, sugar, and calorie levels simply by substituting yogurt for ice cream. Yogurt mixed with fresh herbs and spices can also be a wonderful salad dressing with more nutritional benefits than bottled dressing. In some recipes, yogurt can substitute for mayonnaise, cream cheese, or whole milk, though it is important to test recipes to make sure that texture and flavor are not adversely altered by this change. What Are the Different Types of Low-Carb Smoothies? What are Some Low Carb Desserts?